We’ve never met a problem that we can’t solve. When customers ask us “What if?”, we have a two-word answer: “We can.” As an innovative, creative solution provider and manufacturer, many customers come to us with a new idea, new product, new manufacturing process, or a problem and are in search of a solution. Our team of creative problem solvers provides functional, real world solutions to our customers and potential customers’ needs. At Hope Global we don’t use Continuous Improvement or Lean as a catch phrase. It is our way of life. Our teams work every day to maximize our customer’s value while we minimize waste. Throughout our global locations, we have over 20 teams working in all phases of our operations to at a minimum, reduce or eliminate defects, over production, transportation and excess inventory. We have our eye constantly on our KPI’s (Key Performance Indicators) and are agile and expeditious in our efforts to keep and maintain our processes within standards. Our research and development team of engineers has a singular goal: utilize our prototype and production equipment to help facilitate creative solutions for our clients’ challenges in the most timely and cost-effective way possible. Hope Global added a Customer Technical Resource Center in Auburn Hills, MI in January 2017 to our existing research and development capabilities. This rapid prototype and development center will house Hope Global’s North American Advanced Engineering team, Sales team and Project Management personnel. This collaborative space will integrate technology and know-how to get your product to market better, faster and more affordably. Want to see what all the hype is about, check out the video! Added to our suite of competences, Hope integrated our foam line in 2015 to provide value-add options. This complete line includes an 18 mold carrier system for polyurethane components and foam-in-place options. The double shuttle mold carrier allows us to produce different and different sized components simultaneously. It features fast shuttle movement, short closing time and the carrier is engineered to produce precise parts. 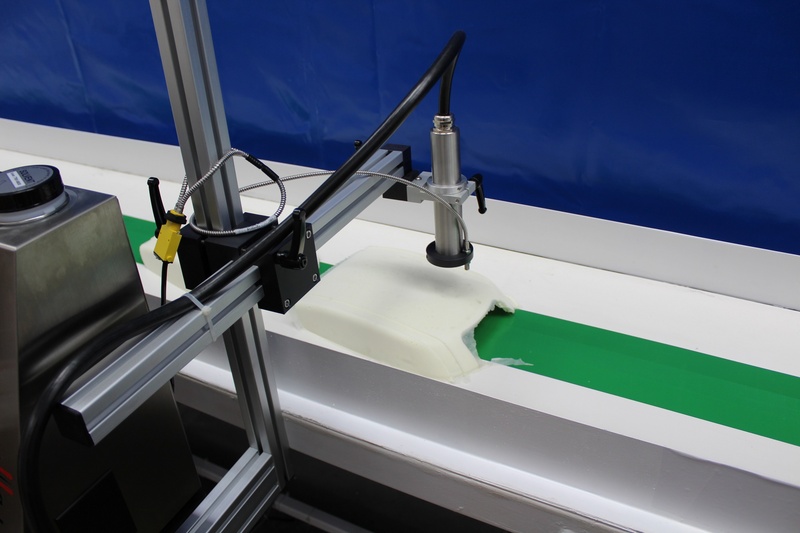 Outfitted with a robotic pour and foam head we can produce the exact part every time. 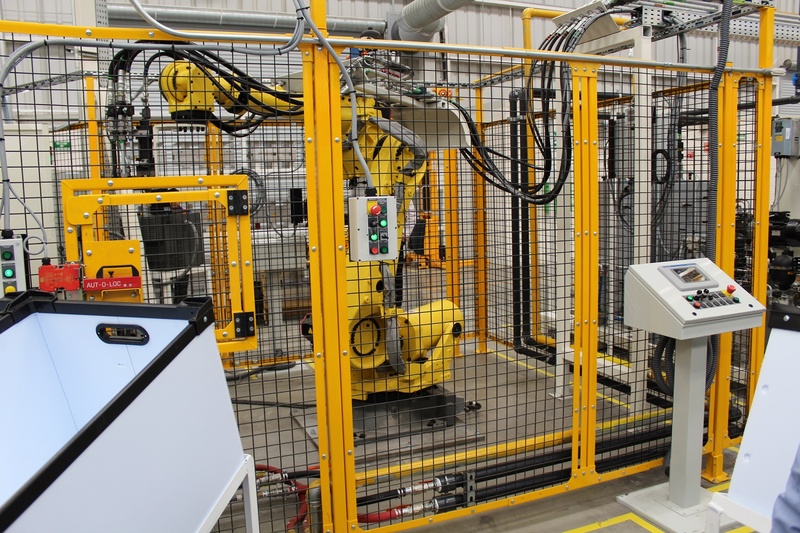 Integrated to add one-stop-shopping options for our customers, we expanded our capabilities to include Plastic Injection Molding as a value-added service. Our state of the art equipment ranges from 420 Ton to 650 Ton presses and allows for our design and engineering team to provide the substrate necessary for the foundation of your project. Our team can assist with design and rapid prototyping for custom parts, and our partnership with superior tool makers allow us to take your part from concept to production. The auto industry moves fast. Hope Global R&D is purpose-built to meet its most demanding schedules. Case in point: Automakers worldwide use some form of molded or cut and sewn cloth. 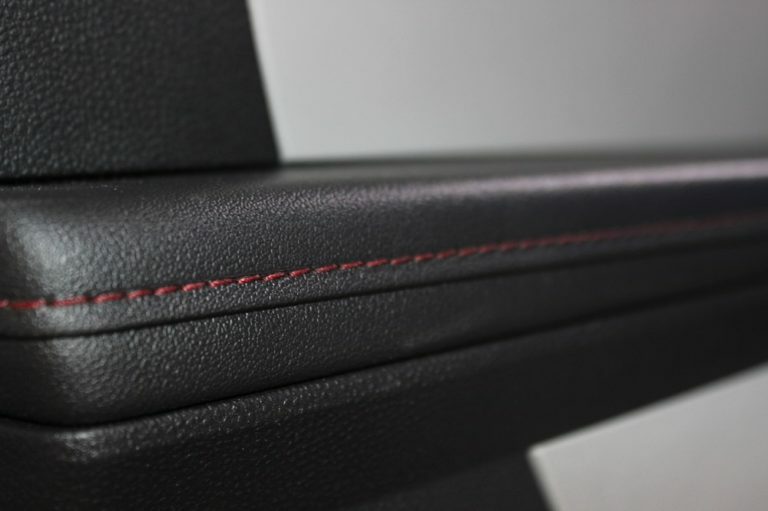 When a leading manufacturer decided to replace cut-and-sew with a cloth assembly on seat backs to reduce scrap, re-work and labor, it turned to us. The result: In months, we developed a viable molded part design for incorporation into 500,000 units. That’s performance. That’s Hope Global R&D.